Aioli sounds like some strange native american plant which is smoked or something. It’s really just a garlicky mayo. 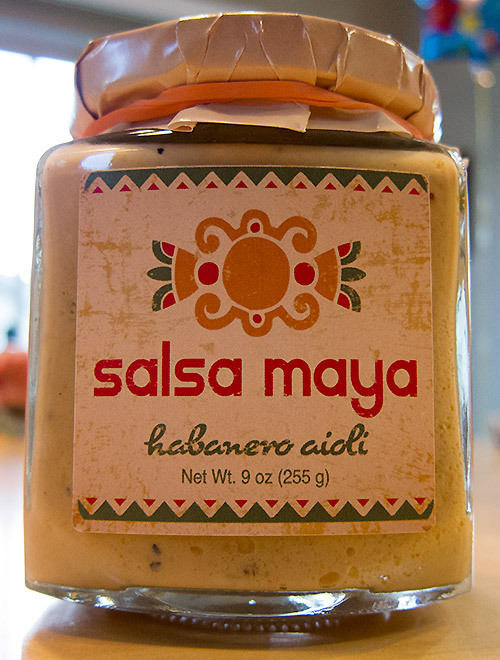 I love heat and garlic so naturally the Salsa Maya Habanero Aioli was a big hit at my house. If your sandwiches or dips were boring before and had no spice or energy, replace your mayo or dip with this great aioli and your tastebuds will be singing the whole discography of the Beatles.